Loved it. Certainly different to his other books, but he's a man of huge talent and real heart. This is quiet and understated, certainly compared to the bonkers energy of Gone Away World, and I've never seen a more realistic view of a superhero figure. That's because this isn't a superhero book at all but a father-son type relationship and as a result it's less... I want to say less cartoonish that some of the images in the last two books, but don't take that as me dismissing them because I loved those books too. There is less of the splash and SFX here though, no ninjas or clockwork bees for example, and Harkaway is instead relying on the heart he instils into his novels. The result is less strangeness than you might expect from him, but very human and enjoyable to readers of both general and SFF. While his family background might afford him more opportunity to explore any genres and ideas he likes, Harkaway has nailed it in each of the books I've read and it's talent that has made him a star. 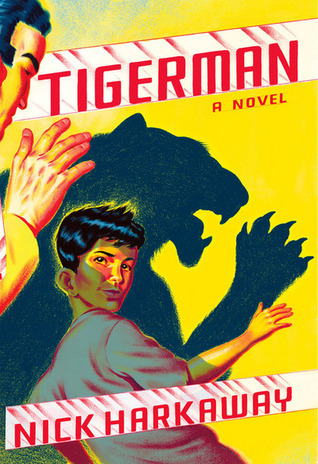 Sign into Goodreads to see if any of your friends have read Tigerman.